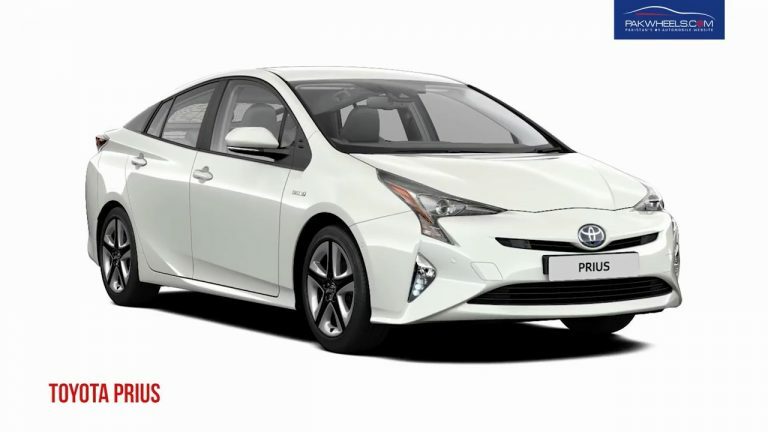 The car we are reviewing today is 2017 Toyota Prius Prime AKA Prius PHV plug-in hybrid. 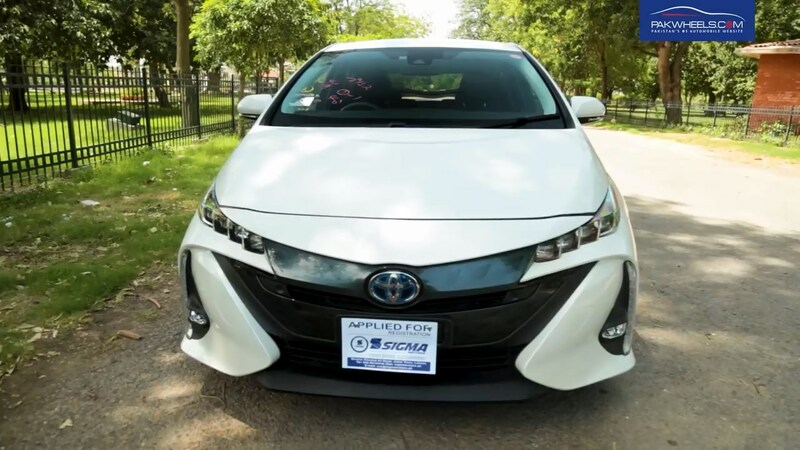 In Japan, it is sold as Toyota PHV whereas, in the US, it is branded as Toyota Prius Prime. 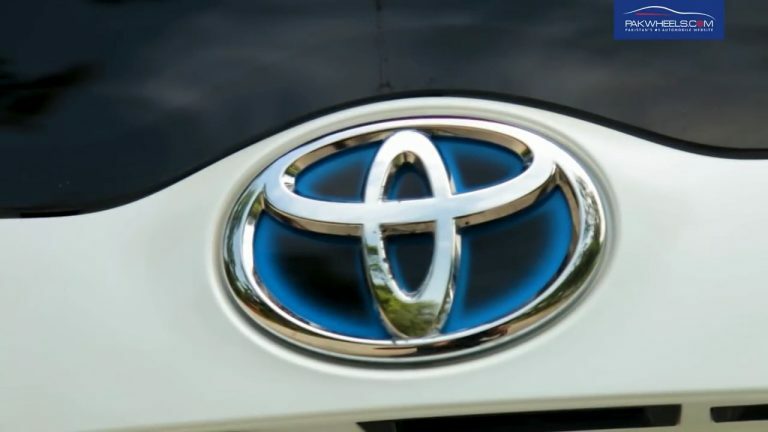 It is arguably the best hybrid Toyota sells. 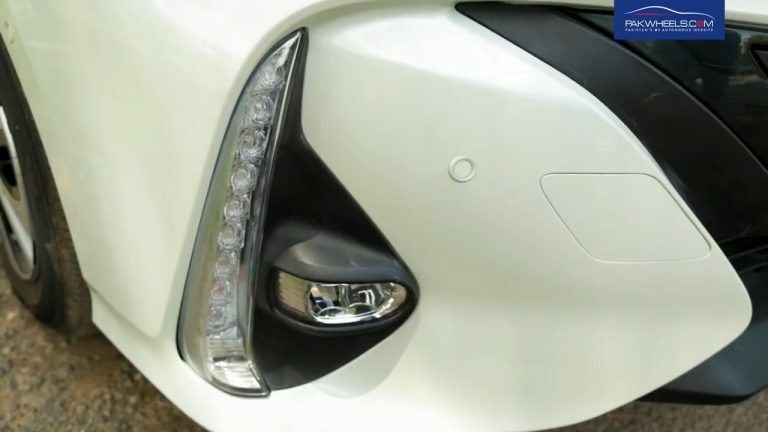 Toyota has majorly redesigned the exterior of the Prius Prime AK PHV. 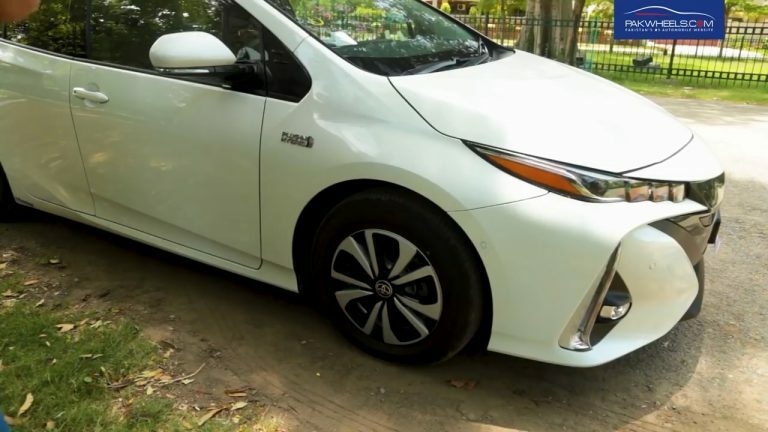 The regular 4th generation Toyota Prius had quite a polarising exterior you would Aisa hate it or love it there was no middle ground. 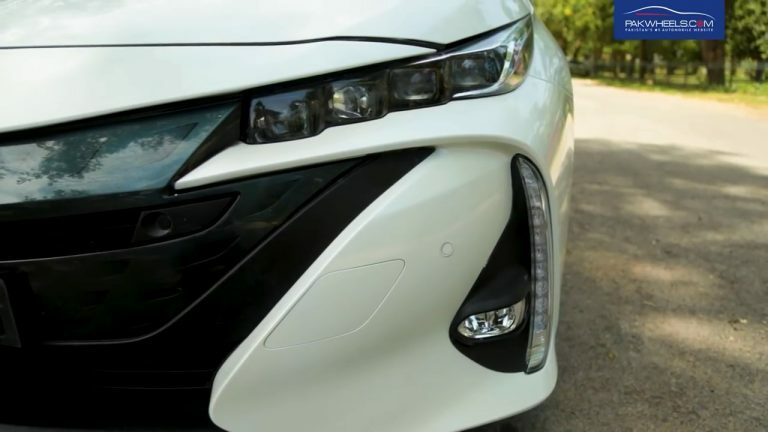 Toyota may be realised that and redesign the front and of Prius Prime. 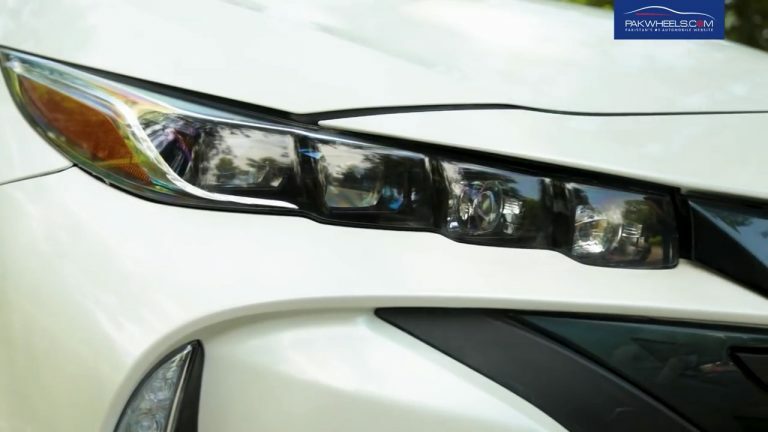 That includes the newly designed Quad LED headlights and reworked front grill. 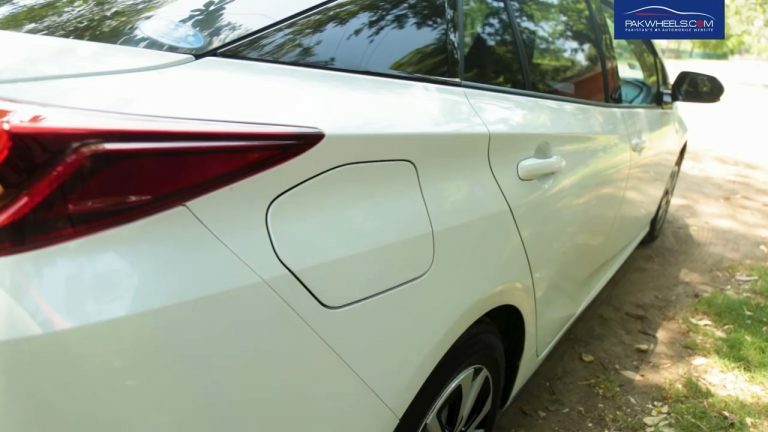 Similarly, the rear end has also be updated with beautiful and flowy curves and designs. 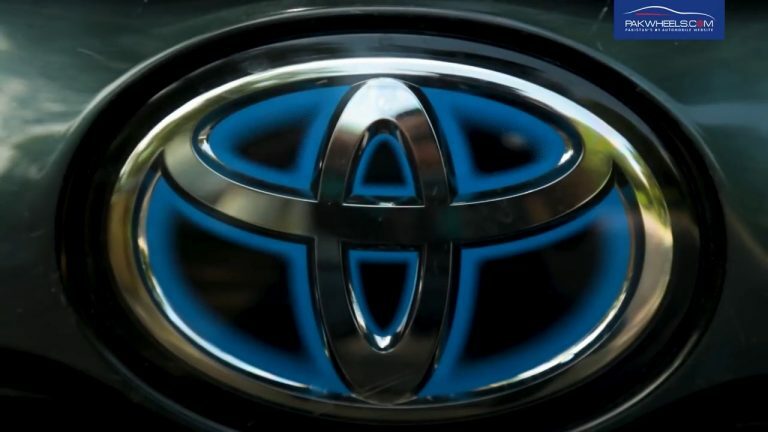 Toyota claims a 0.24 drag coefficient for the Prius family, making it one of the slipperiest cars on the market. 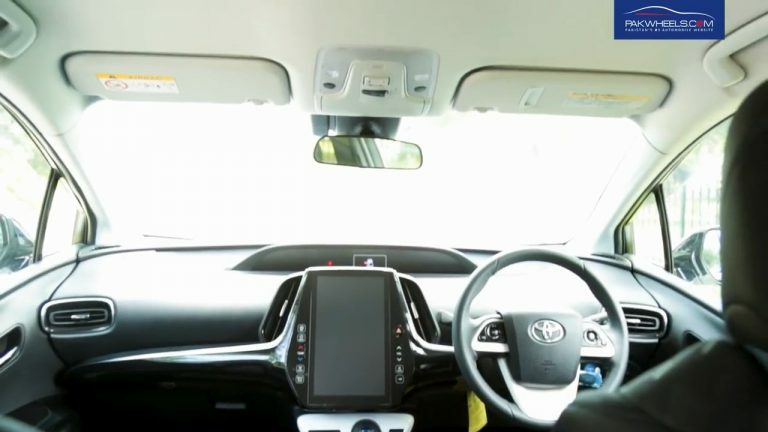 The first thing you will notice when you get into the driving seat of Toyota Prius Prime is how driver-centric and focused this car is compared to its previous iterations. 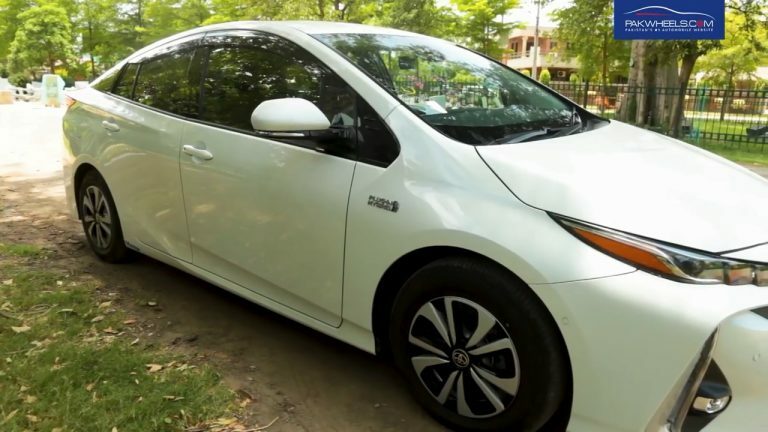 Generally, people take cars like Toyota Prius as a just regular run of a mil family cars. 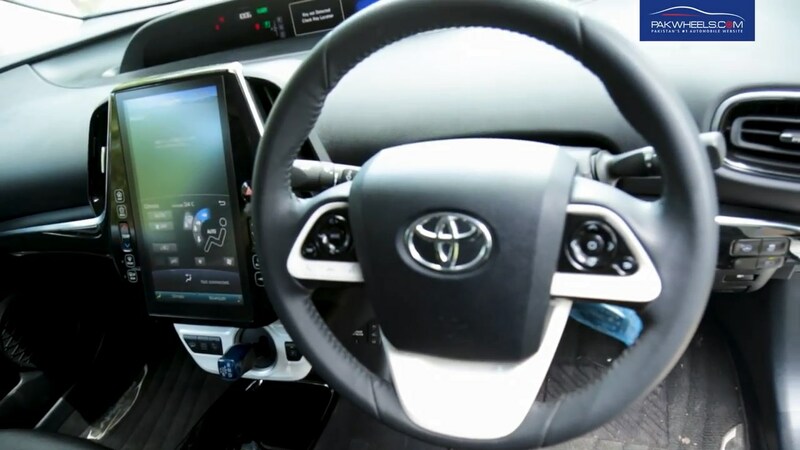 However sitting in the pilot seat, you would feel that Toyota has deliberately tried to change the thinking and perception of regular Prius naysayers. 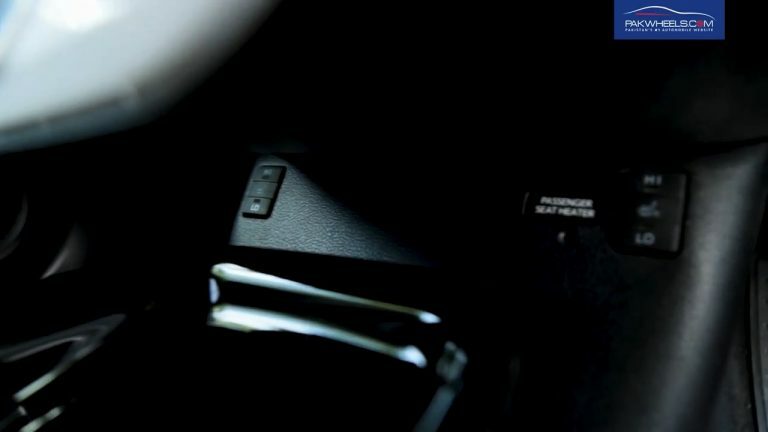 Right underneath the multimedia screen, you will find the gear lever as well as electronic parking brake. 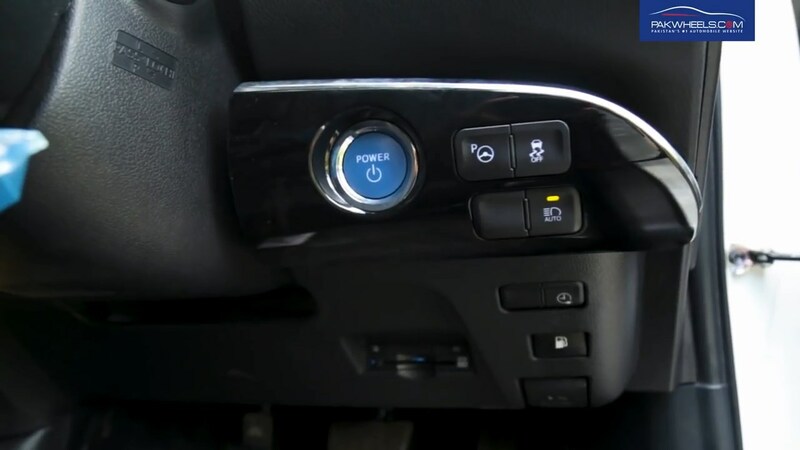 Another odd thing about the placement of buttons is concerned is the placement of heated seat buttons. 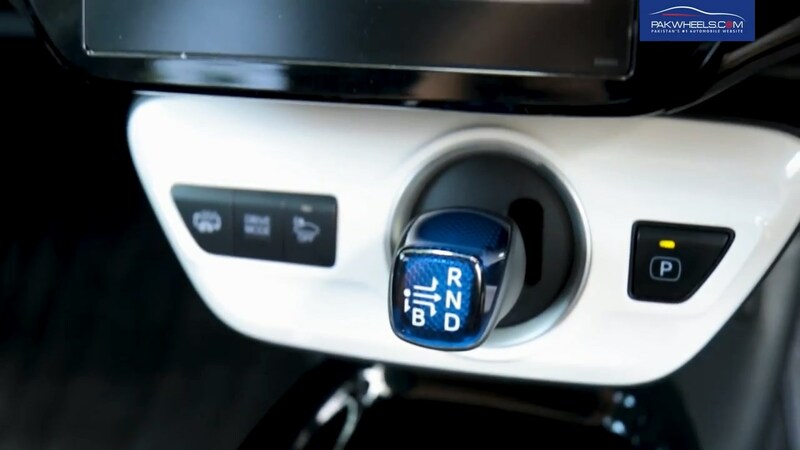 Those are right under the gear lever panel in the bottom, and at first, I am pretty sure 99% off new drivers will not be able to look at those buttons. 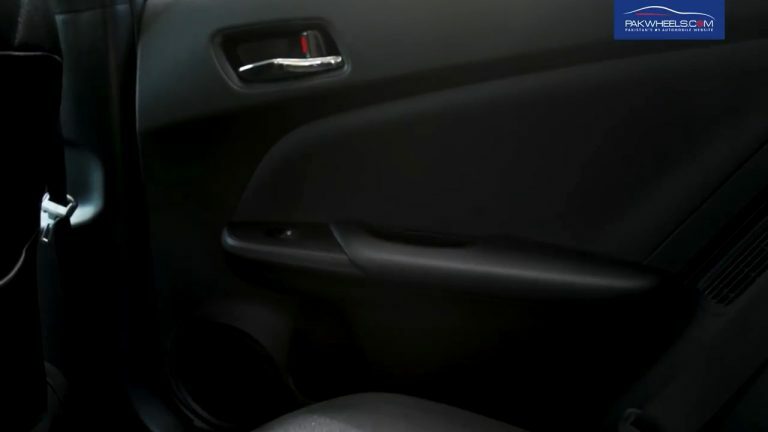 The Prius Prime’s cabin has a clean layout with standard cloth upholstery and plenty of soft-touch surfaces. 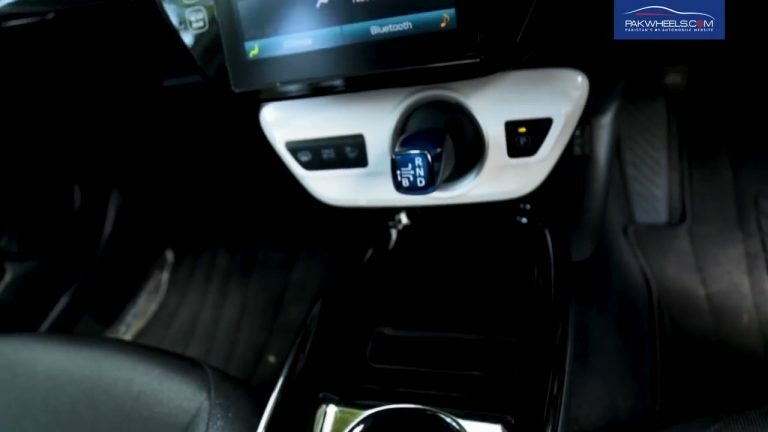 Its long list of tech features and standard heated front seats all no doubt an eye catcher for a potential buyer. 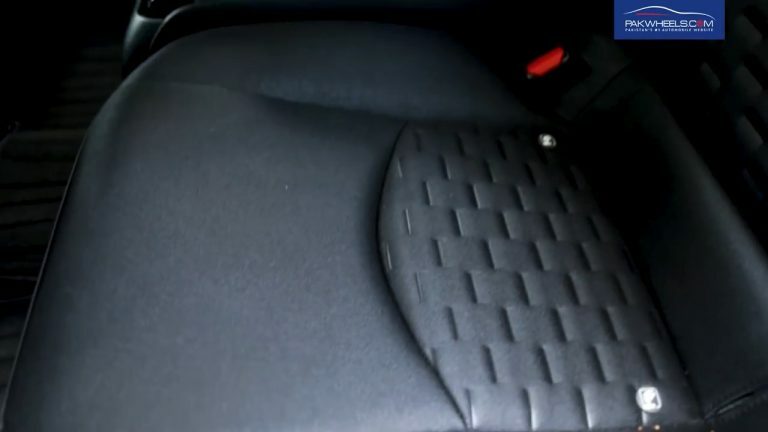 All these new Japanese cars are built with a high standard of quality which also can be seen in their sound deadening ability. 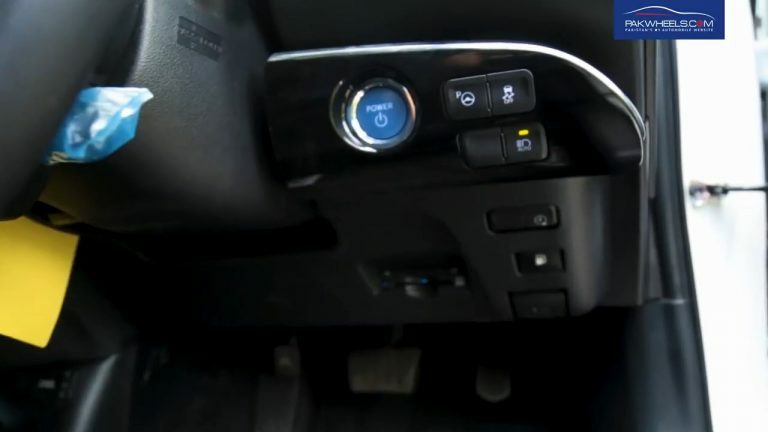 Prius Prime on electric motors is hauntingly quiet. 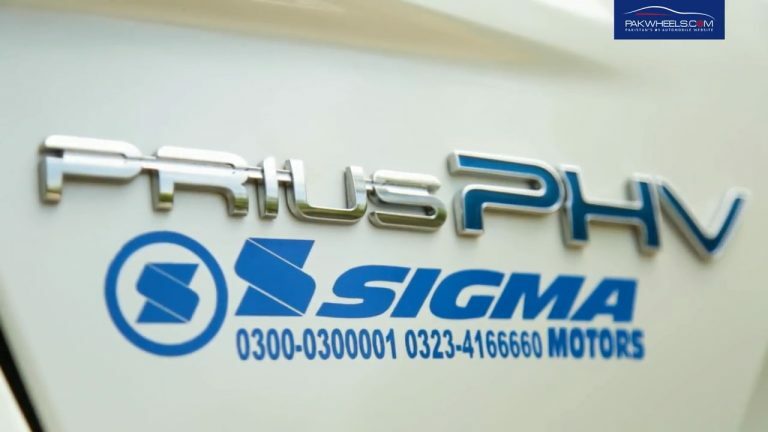 But overall the touch and feel of the door panels are not as impressive as one would hope for from a car that costs as much as 4.5 million Pakistani rupees. 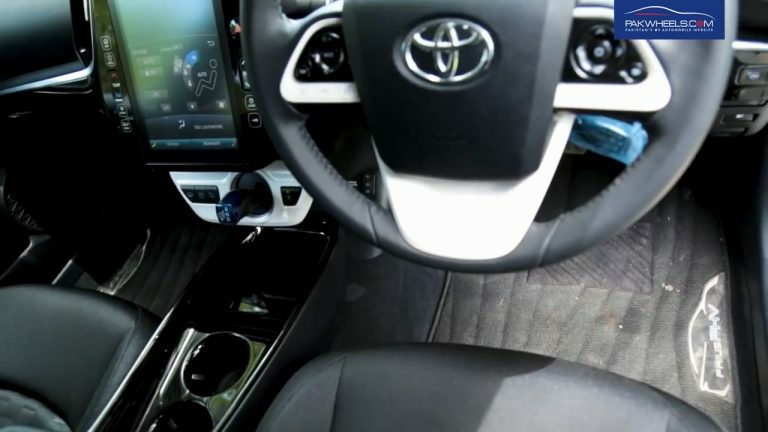 I have seen better interior touch quality in some smaller 660 CC Japanese imports. 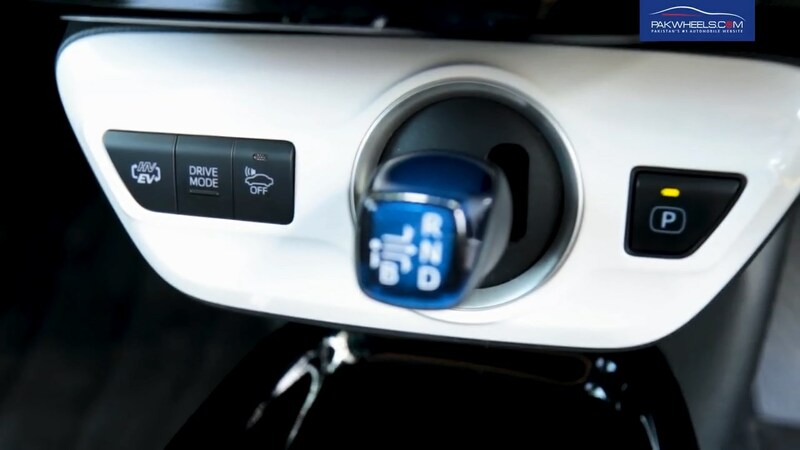 If you’re looking for quick acceleration, look elsewhere; the Prius Prime takes some time to get up to high speeds. 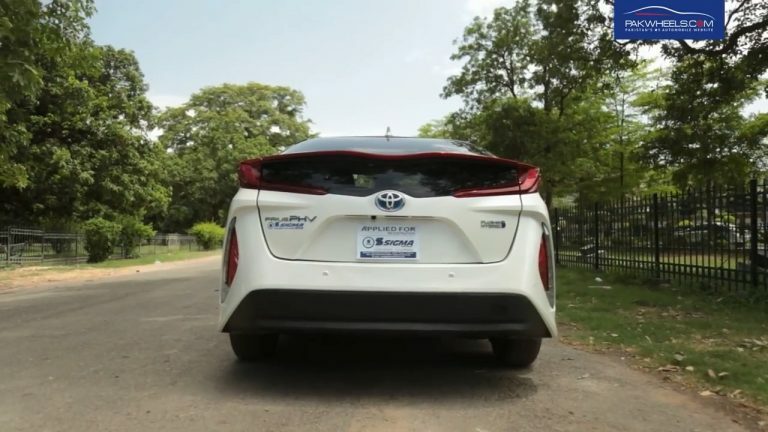 Its standard 1.8-liter four-cylinder petrol engine is paired with two electric motors to generate a combined 121 horsepower. 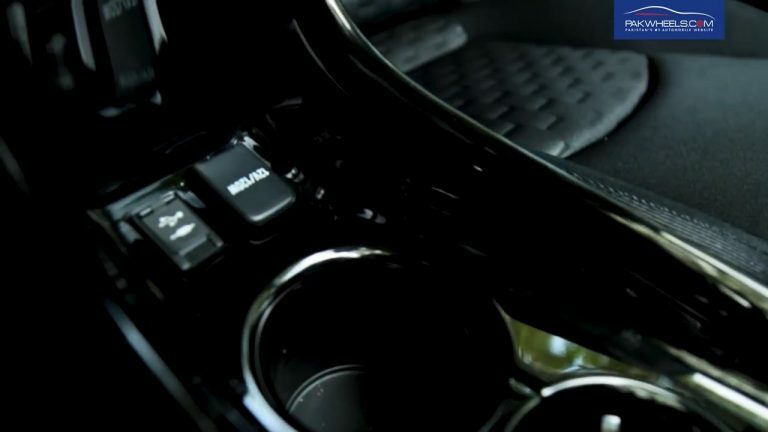 The only transmission available is a continuously variable automatic. This powertrain is highly fuel-efficient and transitions seamlessly between gas and electric power. 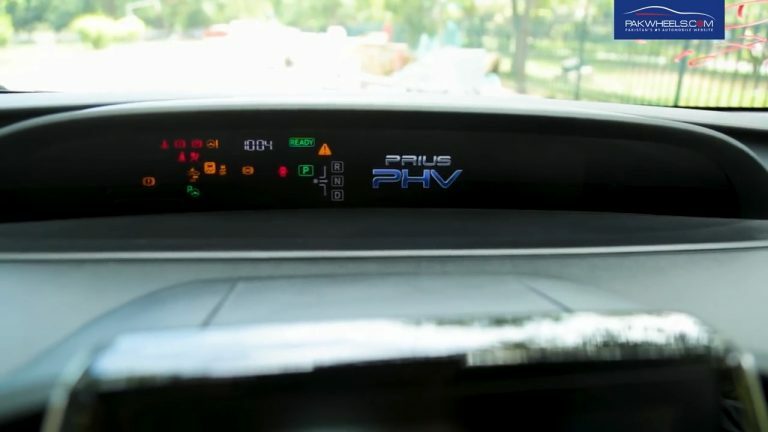 The Prius Prime has some of the highest fuel economy estimates in the industry. 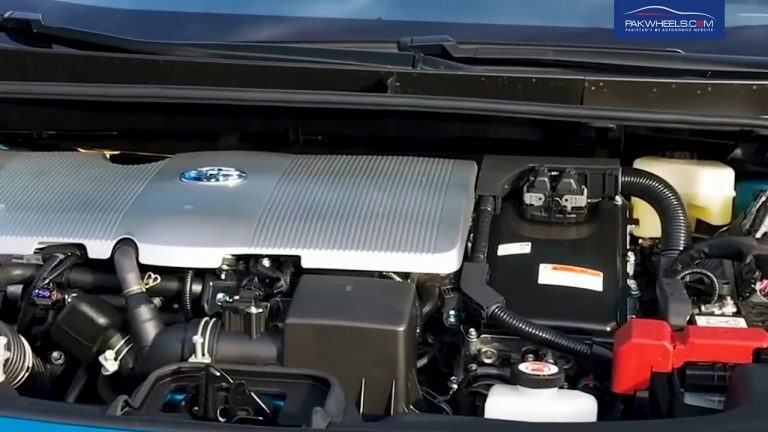 In the US, it gets an EPA-estimated 23.38 kpl in the city and 22.53 kpl on the highway with its petrol engine running. 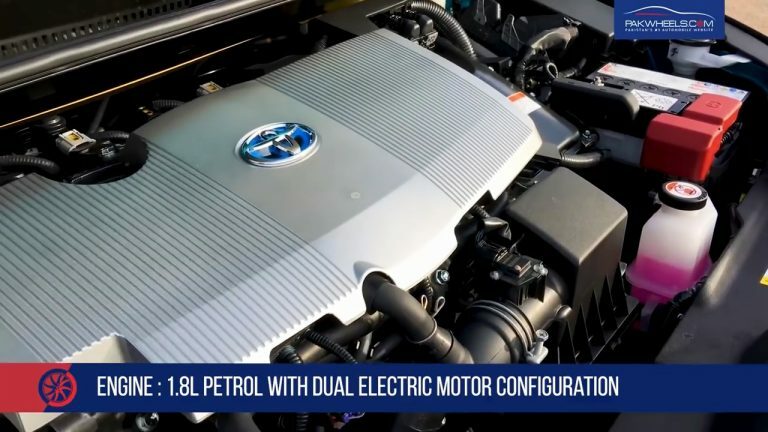 The standard Toyota Prius gets around 22.11 kpl combined on a petrol engine. 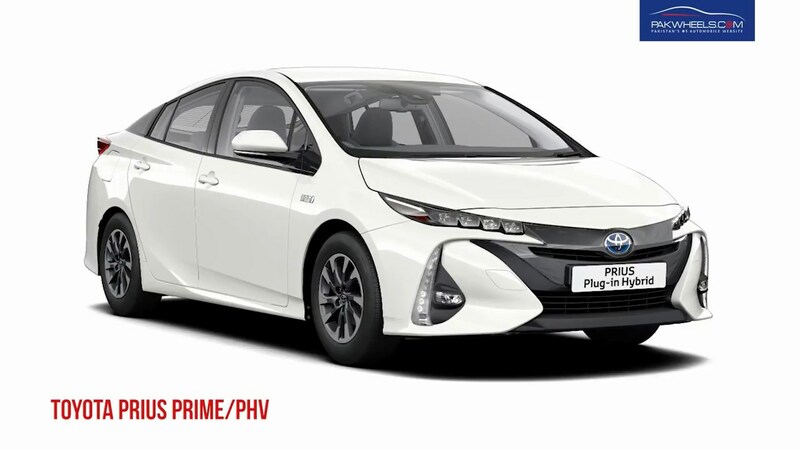 On battery alone, Prius PHV can do roughly 40 kilometers on electric-only power which is a big jump from the 3rd generation Prius that could only do 11 km on battery power. 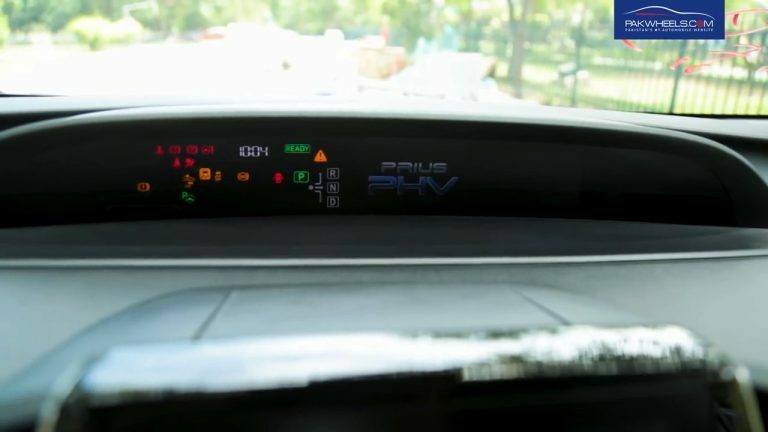 And amazingly, the PHV can cover those battery-powered 40 kilometers at almost 130 km/h. 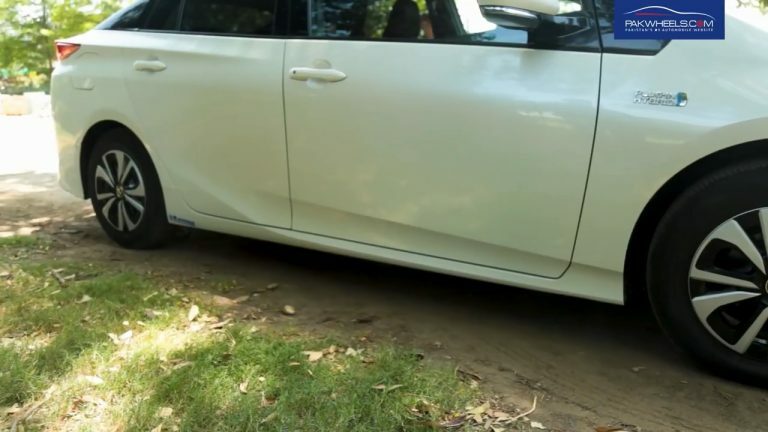 Of course, if you drive it with ease, those 40 kilometers will increase. 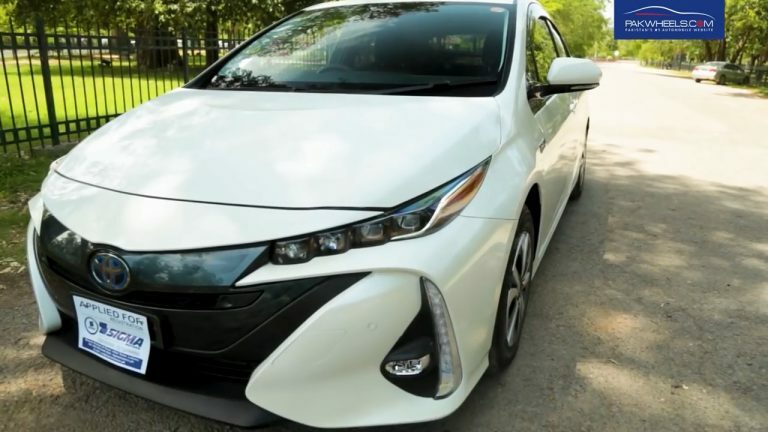 But the petrol and electric-powers combined, Toyota claims Prius Prime can do as much as 56 kml. 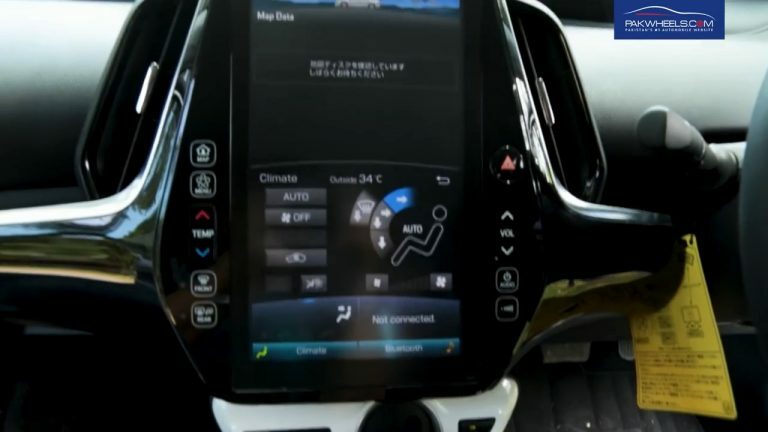 The trip meter of the car was showing it has done as much as 67 kml. 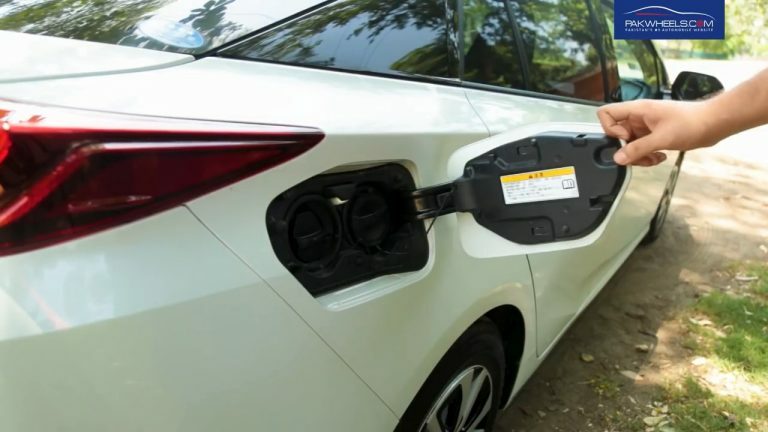 The car takes around 130 minutes to fully charge the battery if you have plugged it in 220v socket. 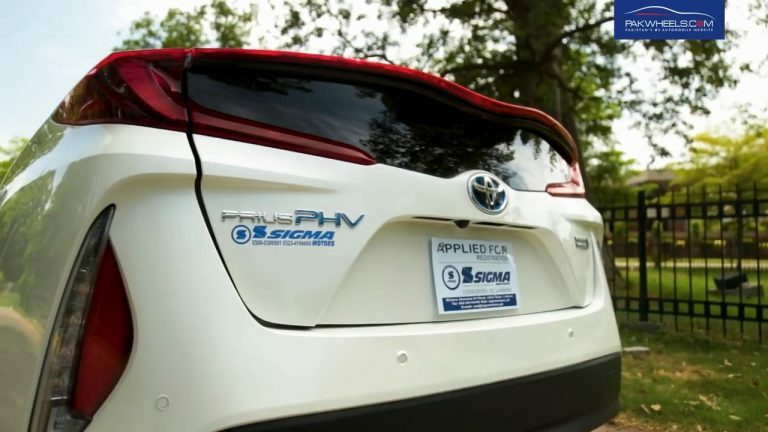 Arguably the most significant improvement to the system is the 8.8-kWh lithium-ion battery pack, which has twice the energy capacity of the 4.4-kWh battery in the old Prius plug-in hybrid. 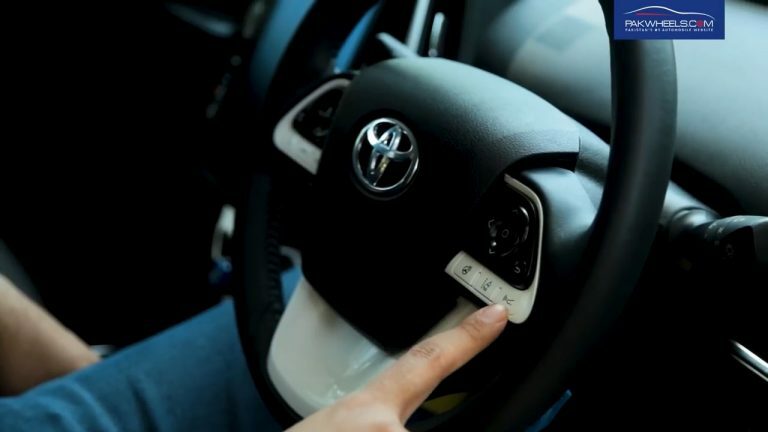 Since the car comes with regenerative braking, the feel of the brake pedal is quite different from a regular car. The regenerative brakes take some getting used to if you’re not familiar with driving a hybrid, but they are more natural feeling than those of older Toyota hybrids. 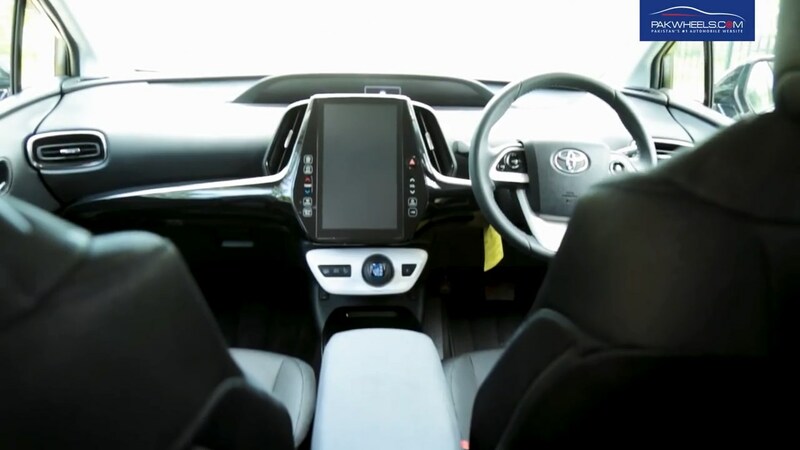 The brakes are good but considering PHV weighs almost 1500 kg, you will feel the momentum of the car when slowing from high speeds. 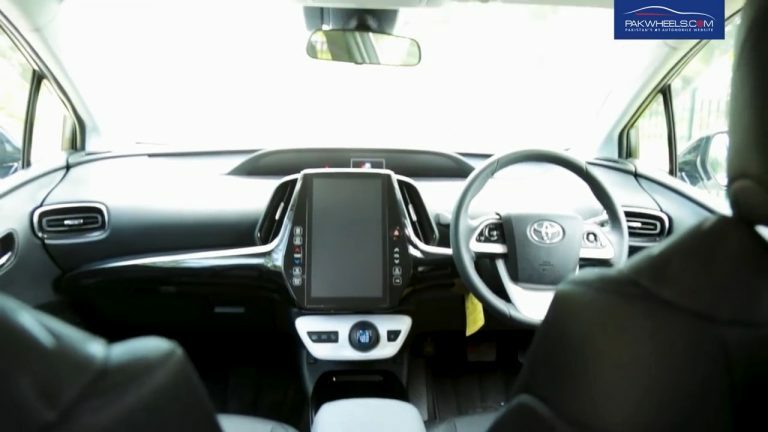 The Toyota Prius Prime seats four across two rows. 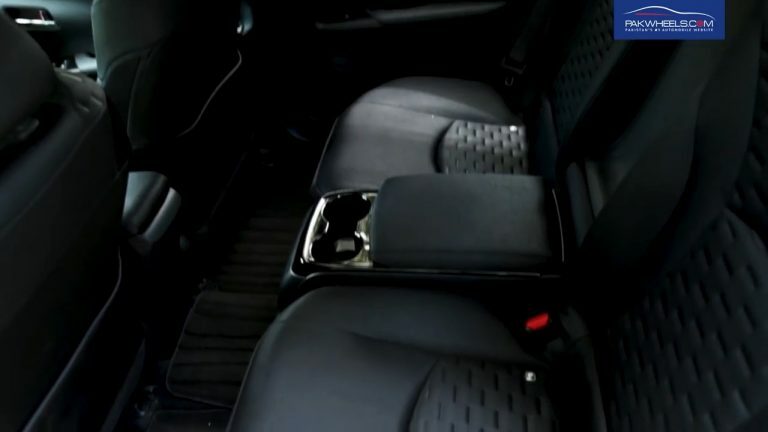 Occupants will fit comfortably in the first row of seats, and the rear bucket-style seats are just as accommodating. 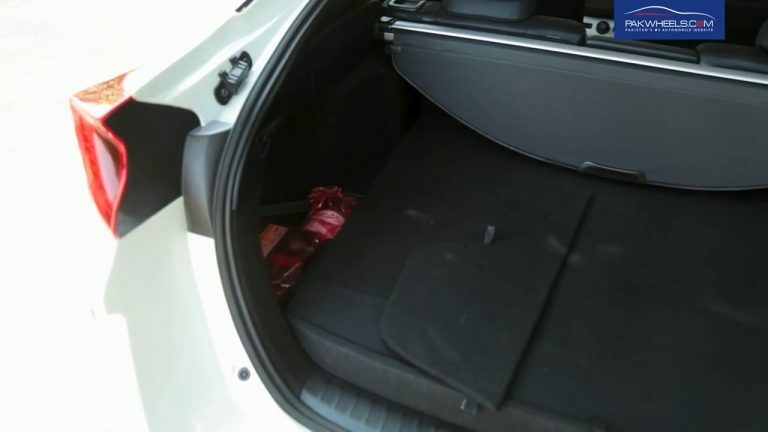 Unlike some rivals that offer a rear middle seat, the Prius Prime uses the space in between the rear seats as a permanent armrest and drink holder. 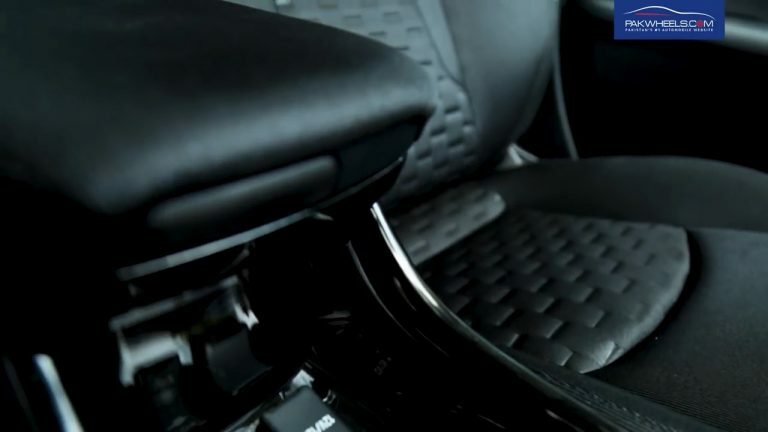 By nixing the middle seat, Toyota provides more room for passengers in the rear outboard seats than competitors. 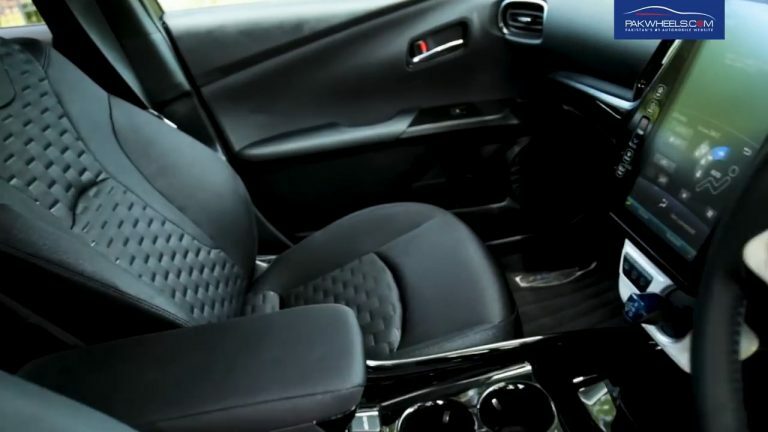 No middle seat can be a deal breaker for many Pakistani potential buyers. 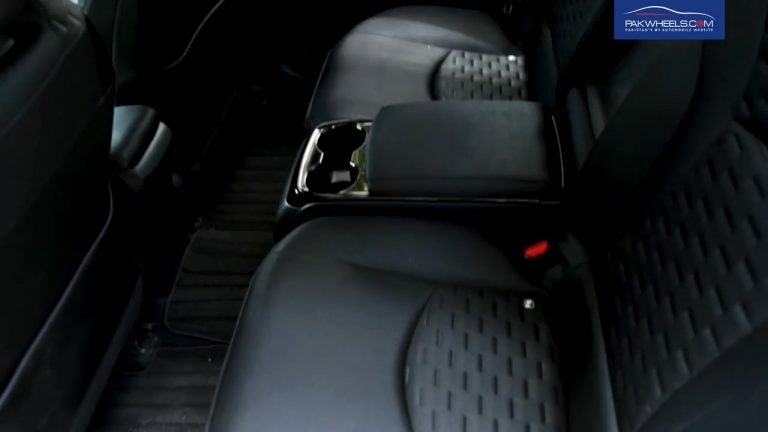 The rear seats, however, have ample leg room but limited headroom. 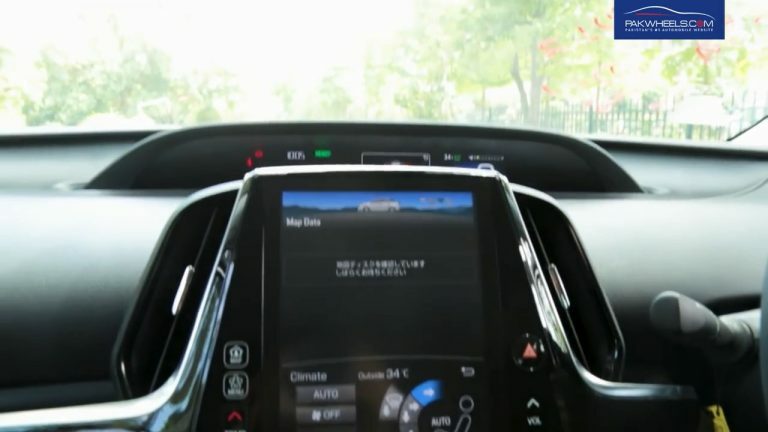 The Prius Prime isn’t going to wow you, but it has comfortable handling that’s good enough for everyday driving. The extra weight from the hybrid battery is put to good use: it helps give this Toyota a low center of gravity and limits body roll. 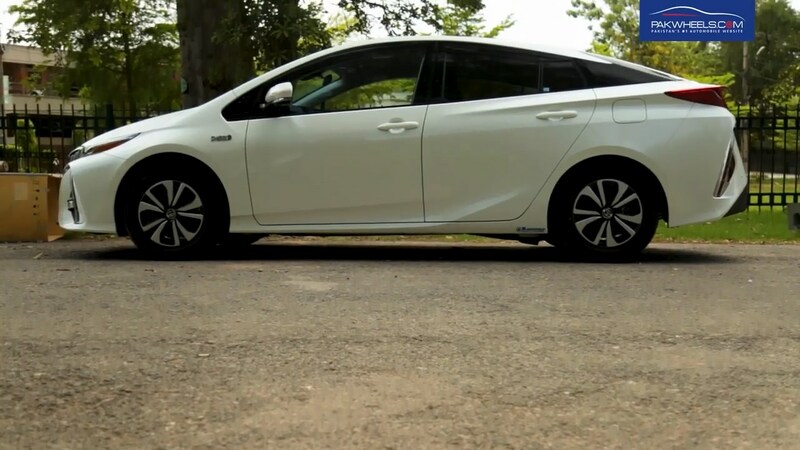 Overall, the Prius Prime feels quite nimble. 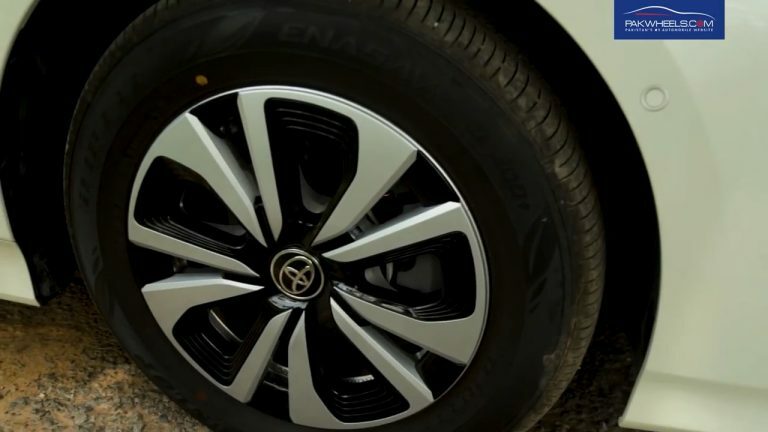 Toyota has redesigned the rear suspension of PHV. 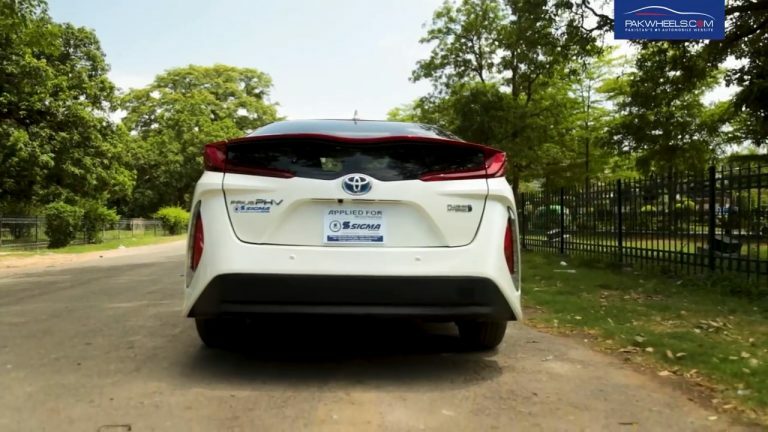 In the previous generations of Toyota Prius there was only a simple torsion beam rear suspension whereas in the 4th generation Prius, to improve the overall suspension, ride quality, and handling of the car, Toyota has introduced wishbone suspension. 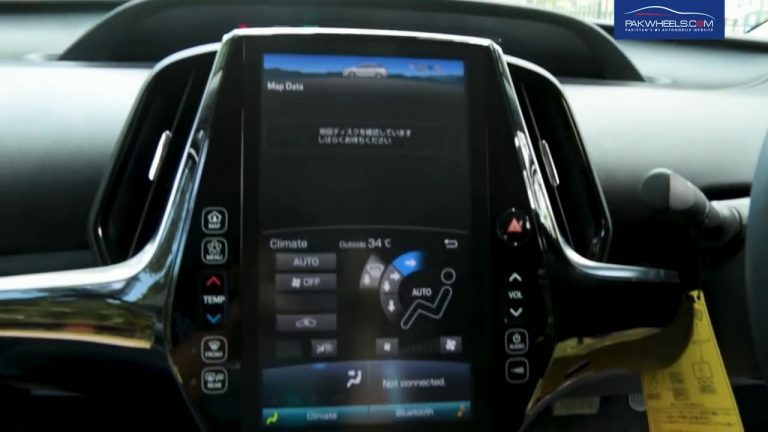 Now you will feel at high speeds how planted the car feels. In second and third generation Toyota Prius cars you could feel the back end of the vehicle wobbling and swaying at motorway speeds. On the front, you get MacPherson strut suspension setup. 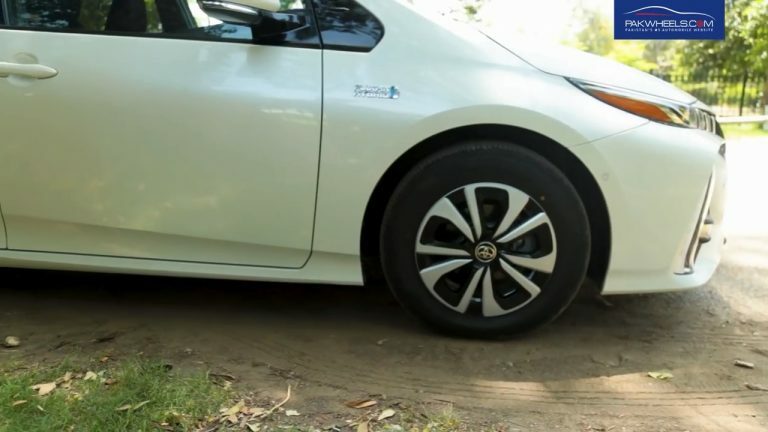 The road clearance of Toyota Prius Prime only measures at 4.8 inches from the ground. 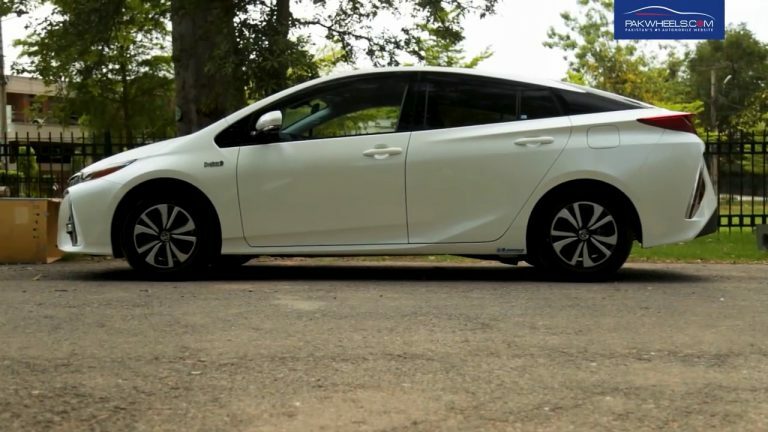 There’s 277.5 liter of cargo space in the Toyota Prius Prime, which is above average for the class. 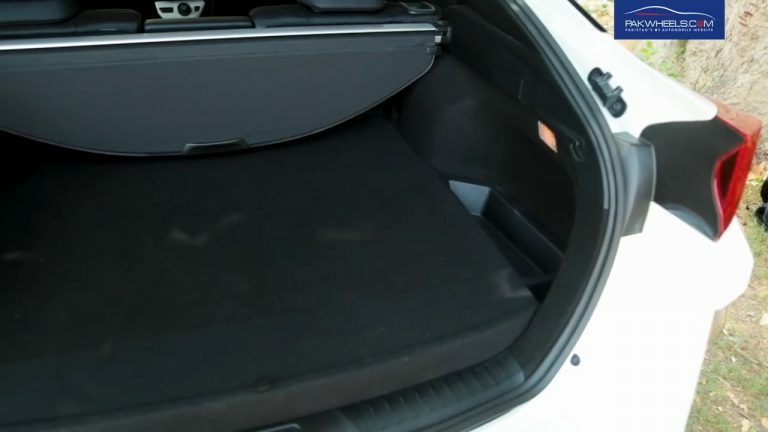 Still, the base Toyota Prius 4th gen has 697 liter of cargo space. 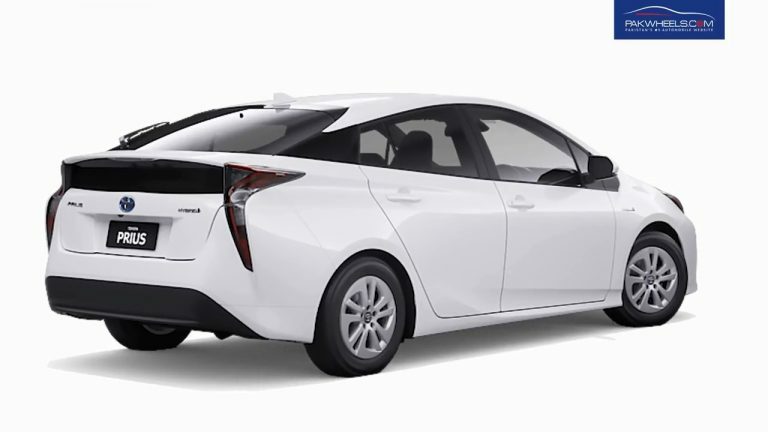 The reason why Prius Prime lacks cargo space is that extra battery pack. The Prius Prime doesn’t skimp on standard safety features. 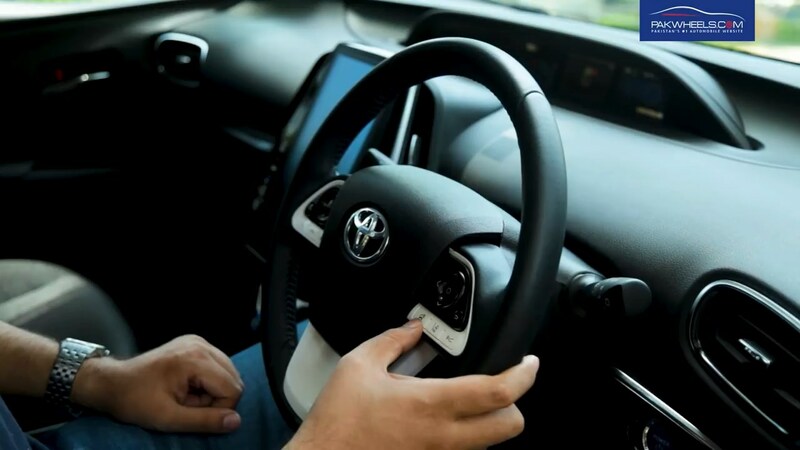 All models come with standard Toyota Safety Sense, which includes a rearview camera, forward collision alert, pedestrian detection, lane departure alert, lane keep assist, automatic high beams, and adaptive cruise control. 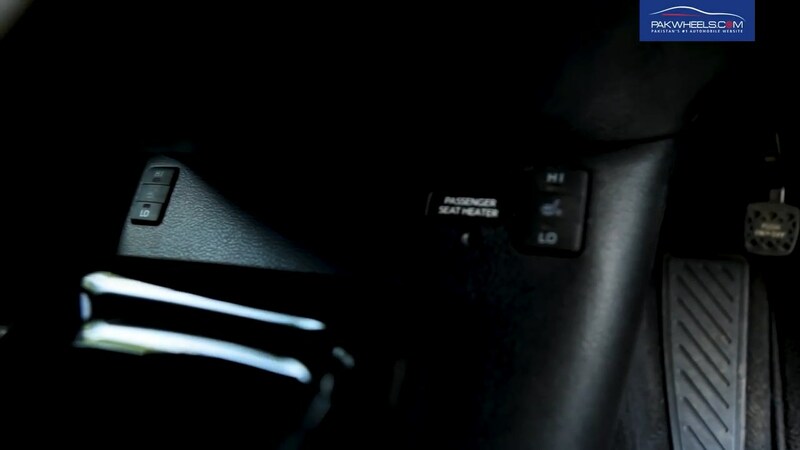 The regular safety features like ABS and EBD are not even worth mentioning here. 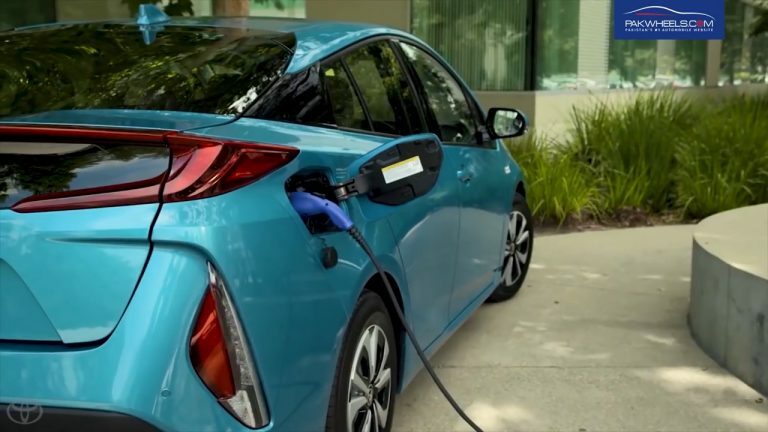 If you’re looking for a hatchback with excellent fuel mileage and a substantial list of standard safety technology, you’ll like the Prius Prime. 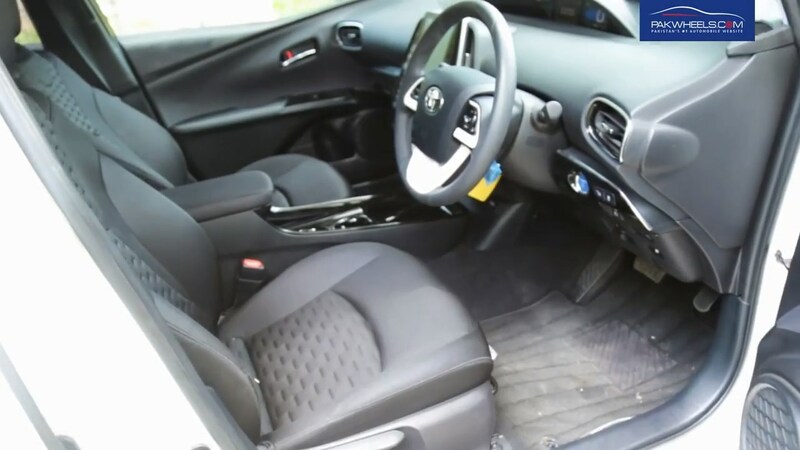 This green car also has excellent safety and predicted reliability ratings. 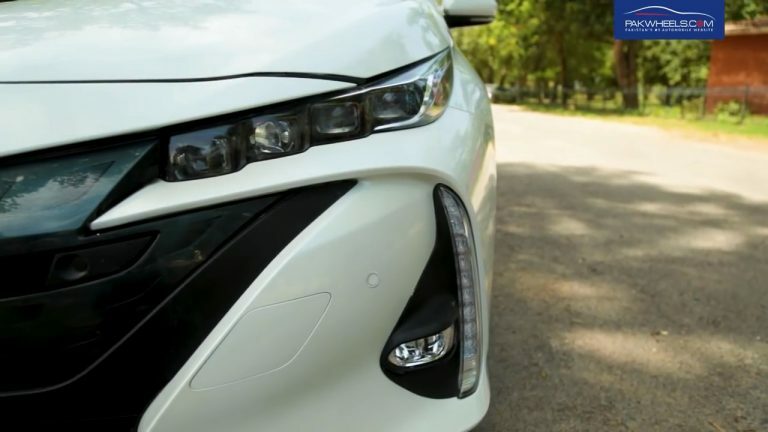 Still, some rivals offer more space, superior performance, and an extended all-electric range. 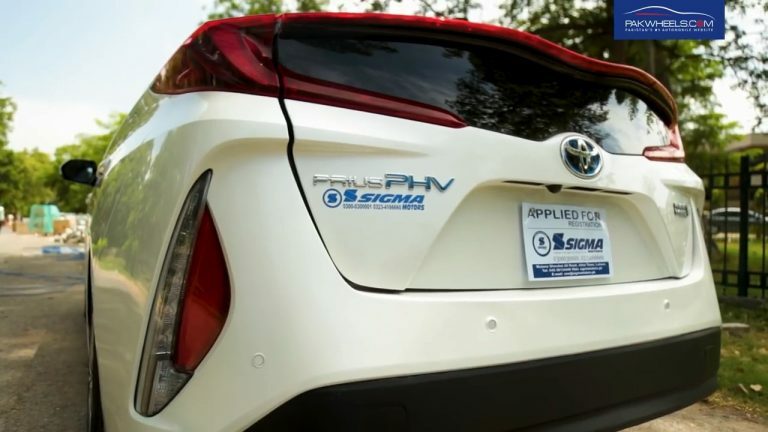 The only possible competitor Prius PHV has his regular Toyota Prius 4th gen. 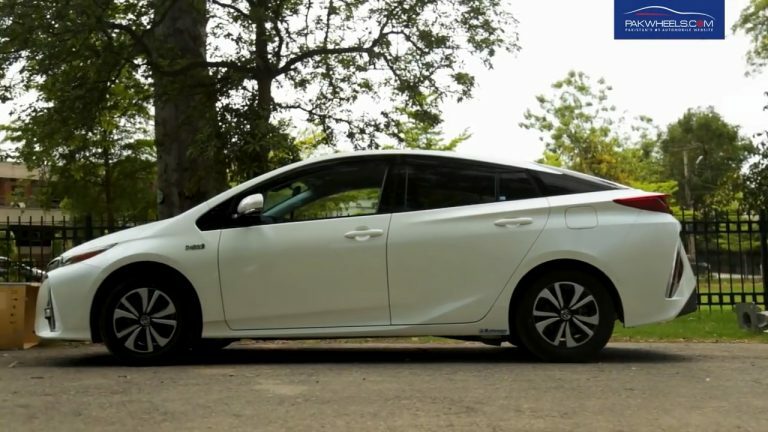 The Toyota Prius Prime and the Toyota Prius are very similar cars. 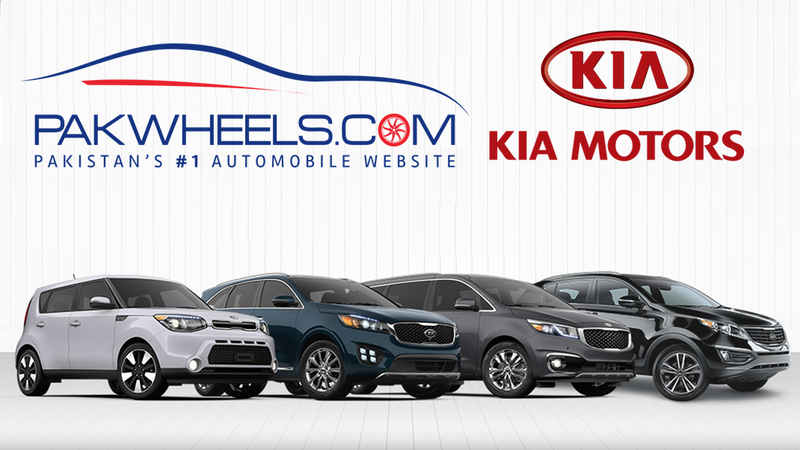 Each boasts outstanding mileage estimates and numerous safety features. 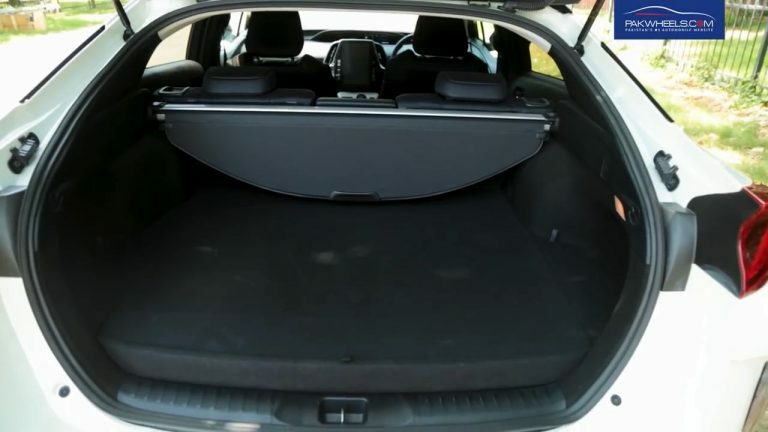 The Prius, however, has far more cargo space and seats five (one more than the Prius Prime). 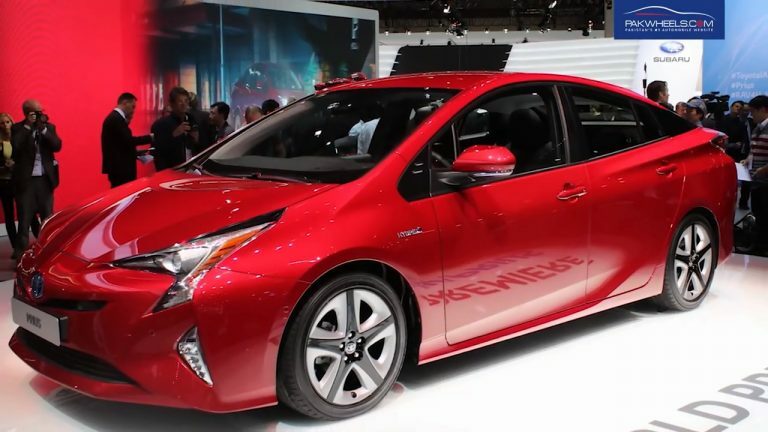 Regular 4th gen Prius also costs less than Prius PHV. 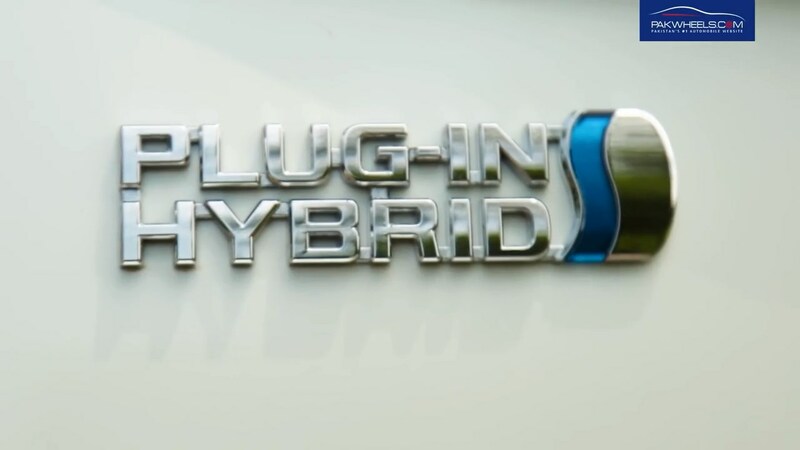 The big advantage that the plug-in hybrid Prius Prime has over the Prius is that is can be driven roughly 40 kilometers on electric-only power. 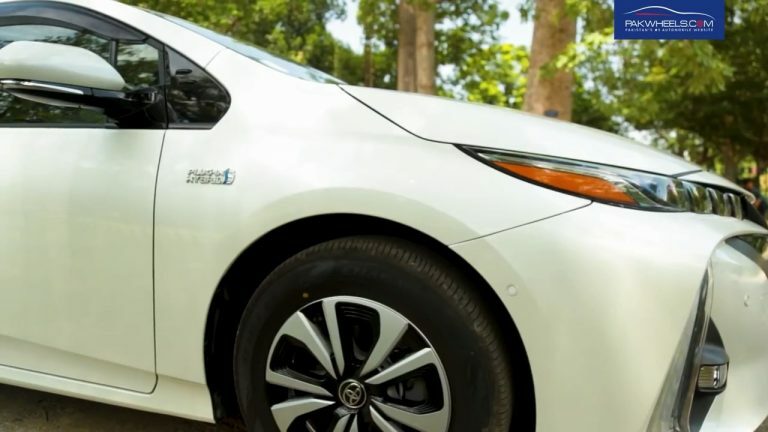 Unless you need the Prius’ extra space, you’ll likely be better off with the Prius Prime and its long-term cost savings. 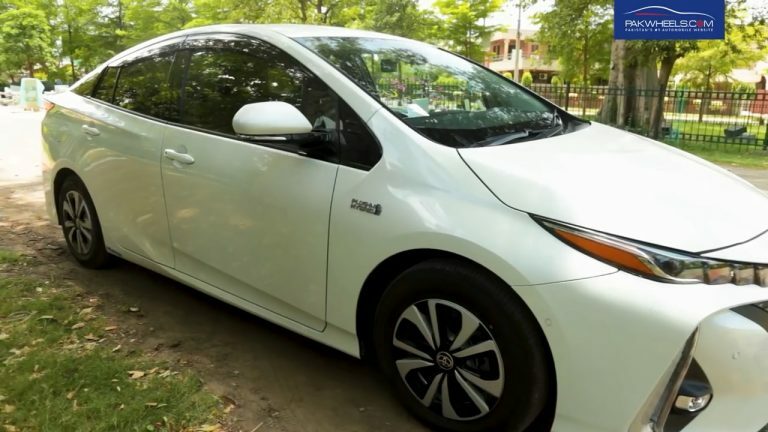 In the US, the Toyota Prius Prime ranked #15 in Compact Cars. 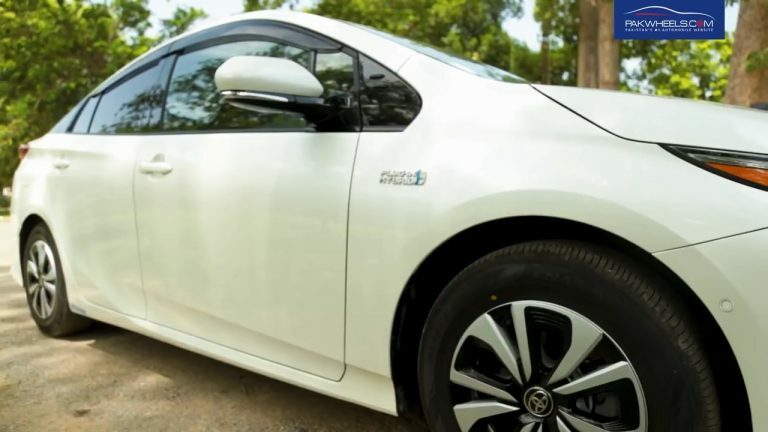 Toyota Prius Prime’s outstanding fuel economy, fantastic safety scores, and smooth powertrain make it an appealing compact car. 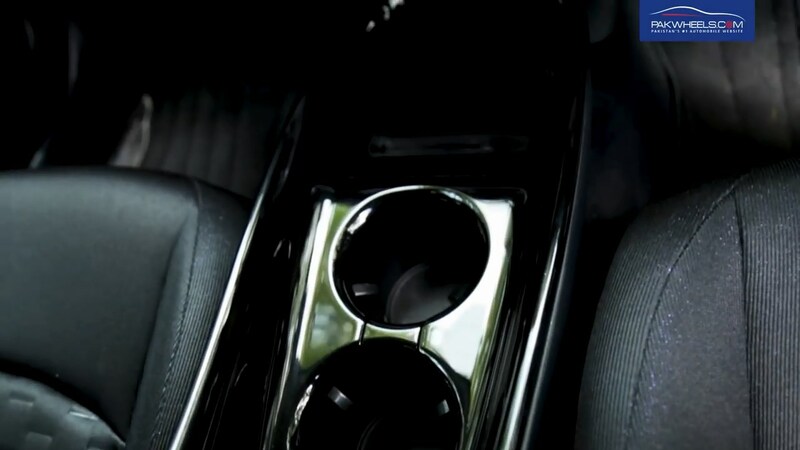 However, issues like sluggish acceleration and a frustrating infotainment system can be irritating. 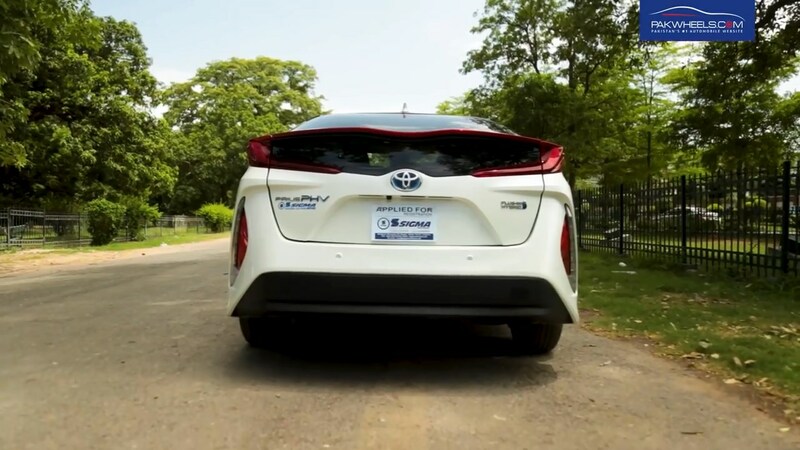 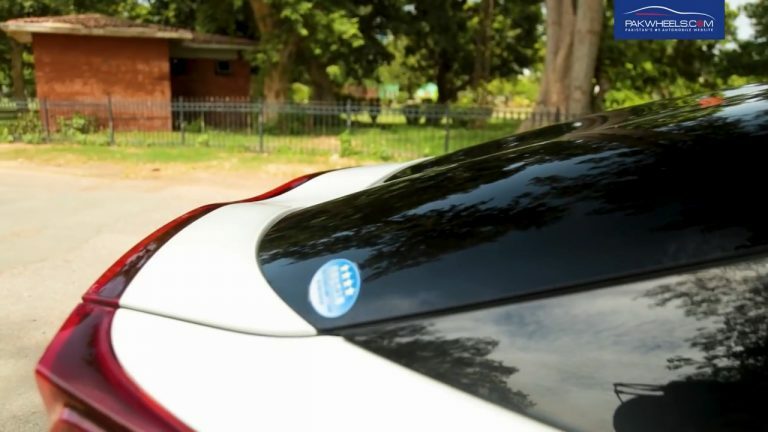 It does offer a boatload of standard features, and the excellent fuel economy is a cherry on top but the question whether all that can be justified considering its price tag of PKR 4.5 million, that is something only a Prius Prime owner can tell.